For much of the year, beginning in January when the stock market had its worst start of a new year in history, we’ve been asked periodically why our portfolios haven’t been materially more defensive. The question has arisen at other times during the year, such as in aftermath of the UK’s “Brexit” vote, an event that temporarily took the market lower because of fear and uncertainty, but did not change the fundamentals. Now, some are wondering if the economic expansion could be getting long in the tooth. Add to that the cable news chorus that, from time to time, warns investors that the next bear market is right around the corner (cable news pundits have called about five of the last two recessions). And yet, here we sit, at or near all-time highs in equities. For us, it’s a pretty straightforward proposition, thanks to the Astor Economic Index®, our proprietary, data-driven guidepost that allows us to determine, in real time, the direction and strength of the U.S. economy. 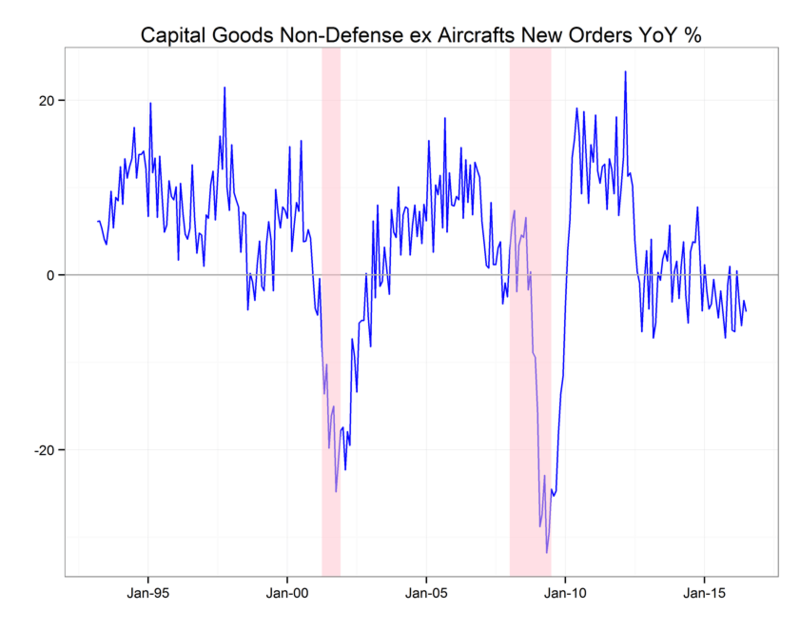 Thanks to this “now-cast,” we are able to aggregate a variety of data into a single value, which we compare to historical levels and historical averages to determine whether we believe the economy is expanding or contracting and to what degree of strength or weakness. The AEI is our answer to “the” question we believe is foremost on investors’ minds: What is the current state of the economy and its implications for exposure to risk assets? As a robust aggregation of what is occurring across the $17 trillion U.S. economy, the AEI is our guide for determining risk asset allocation. Research shows that when the economy is growing, it is productive to hold risk assets (i.e. equities); when the economy is contracting, risk assets should be reduced. This is not prognostication—it’s now-casting, to capture the current state of the economy. Since the economy turned the corner after the last recession—whether measured by the National Bureau of Economic Research (NBER), the Astor Economic Index®, or even your own “gut feel” of when things got better after the 2008-2009 financial crisis—the economy has been growing. As the AEI chart (above) illustrates, there have been points during this recovery when economic growth has been faster or slower. But at no time since the recovery has the AEI suggested that the expected return on risk assets was negative. Not that there haven’t been some times of concern, when caution seemed prudent, such as the 2011 debt ceiling crisis and fears of a U.S. government default. But once those clouds cleared, downturns proved temporary and the financial news media’s repeated calls for a bear market were only head fakes. The caveat, of course, is that some times are riskier than others; from time to time some assets and sectors do better than others. For example, earlier this year a slower pace of economic growth (but growth, nonetheless) suggested that we reduce beta somewhat in our portfolios, which we did. Nonetheless, as the AEI chart shows from 2012 to the present, generally speaking risk exposure to risk assets (equities) has paid off, with the exception of a quarter or two. Our data-driven, fundamental approach, however, doesn’t attempt to capture short-term moves, quarter to quarter. As we tell clients, our goal is to generate solid, long-term returns, but our discipline is focused mainly on mitigating risk and protecting the downside. We attempt to give investors what we call “a smoother ride” through the cycles. Interestingly, this theme was featured in a recent Wall Street Journal’s report on the desire of investors for “peace of mind” by controlling volatility. When investors know what they want they can pursue their investment goals accordingly. A fundamentally-driven, macroeconomics-based approach, we believe, is the key to staying disciplined in the pursuit of those investment objectives. For now, the AEI tells us to stay the course with exposure to risk assets. One day, presumably, that will change—and when it does, we will act accordingly. If you were to look only at where the market closed out June, with the S&P (SPX) at just under 2100 (2098.87 SPX) and compare that to month-end for May (2096.96), you’d see that little had changed. Quarter-to-quarter, the rise from the Q1 close of roughly 2060 to the Q2-end is nearly a 2% gain. Q1 followed a similar pattern ending the quarter within 1% of where it began. What that view fails to acknowledge, of course, is another quick, market-rattling event—this one known as “Brexit,” which caused a spike in fear and uncertainty again. Volatility increased and the major averages were sent swinging in 5-10% ranges. At its lows, SPX traded below 2000, declining nearly 5% in a matter of days. But, here we are again, right back to previous levels (sound familiar?). As I noted in my previous post about Brexit being an event, the UK’s departure from the EU had little short-term impact on the current state of the economy, and markets will eventually reflect that reality. Speaking of the U.S. economy, there have been some hopeful signs. The Chicago Business Barometer (also known as the Chicago Purchasing Manager Index) rose 7.5 points to 56.8 in June, the highest level since January 2015. The rise was attributed to strong gains in new orders and production. Further, the rebound in June offset the previous two months of weakness. The Chicago Barometer average for Q2 was 52.2, virtually unchanged from 52.3 in Q1. Also widely anticipated was the June ISM Manufacturing Survey (released July 1), which came in at 53.2—beating estimates and posting a fourth consecutive month of growth. 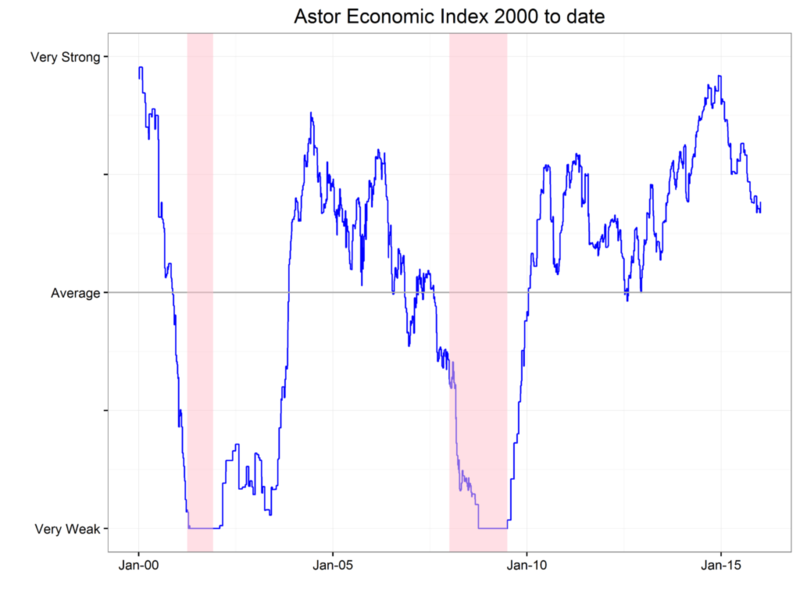 That’s why, market “events” aside, Astor focuses intently on the economic fundamentals—especially through the lens of our proprietary Astor Economic Index® (AEI). Based on our reading of the current state of the economy we allocate assets accordingly. Although the AEI has declined over the past several months and our beta (exposure to risk assets) was adjusted accordingly, the Brexit “event” and aftermath of the past week did not change our overall view of the economy, or our outlook for the equity markets over the next few quarters. The conclusion we draw from all this further supports our thesis from earlier in the year: we are in a low-return environment. Low-risk assets such as 10-year treasuries are yielding less than 2%, and risk assets such as equities are on track for single-digit returns with double-digit volatility. Given that outlook, we believe our portfolios are positioned to capitalize on this environment, while we remain prepared to make adjustments to become defensive should risks increase. At the same time, if economic fundamentals improve and risk assets appear likely to generate greater returns for the same risk, we will adjust to that accordingly as well. Through whatever “events” might rattle the market from time to time, we continue to keep our eye on what really matters—the economy.